Western Australia's almost 12,000 km (7,450 mi) of coastline is broken up only by oasis-like towns and cities. Most of the state, however, is an arid region of mostly uninhabited, infertile land with an untamed physical aesthetic. The harsh climate cultivates a laid-back lifestyle centered on the coast’s shaded enclaves and picturesque beaches. 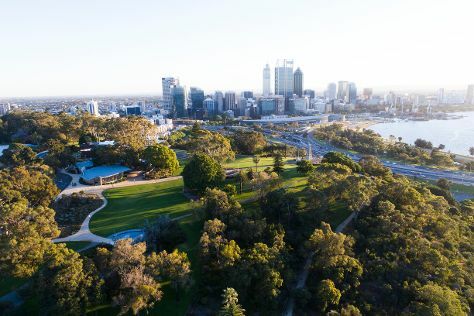 Australia’s largest state, with an area of 2.65 million sq km (1 million sq mi), Western Australia contains over a third of the country’s landmass but just 11 percent of its population. Western Australia is in Australia. When using our Australia trip itinerary maker site to make an itinerary online, Western Australia holidays come together around your tastes, interests, and requirements, with us taking care of the logistics.